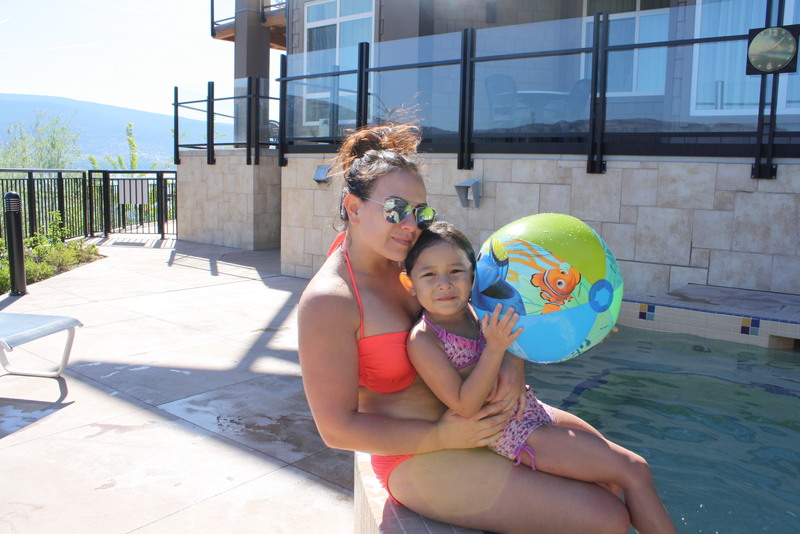 Over the weekend our family had the pleasure of attending a press vacation with VancouverMom.ca and a few other bloggers and their families in the beautiful Okanagan. 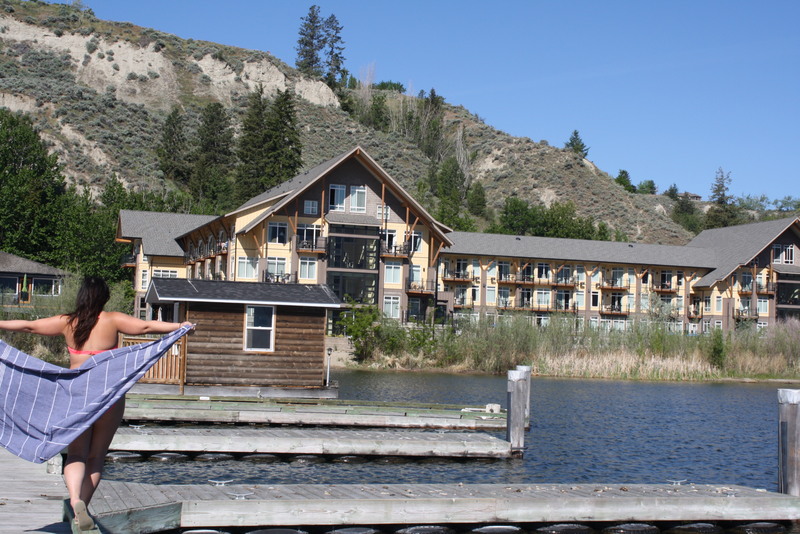 We stayed in Summerland, a place we’ve visited many times. 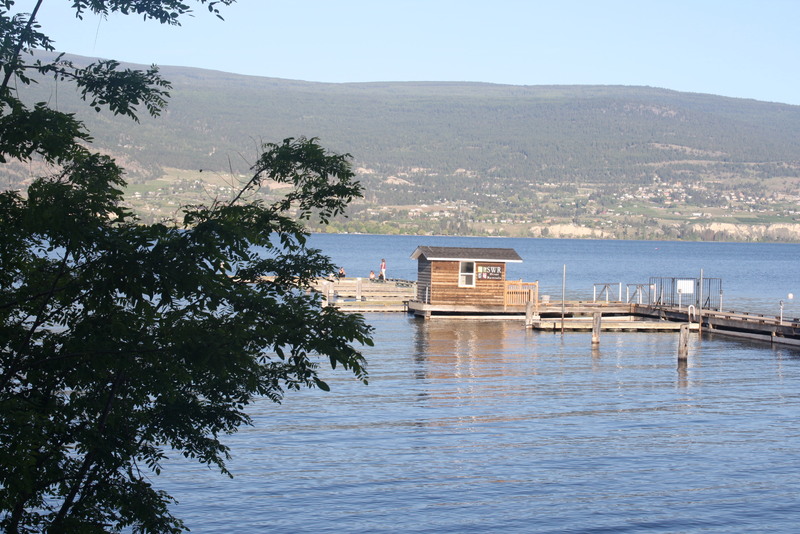 We have never however stayed at a hotel in Summerland, normally we stay at my aunts cozy cottage on the lake. 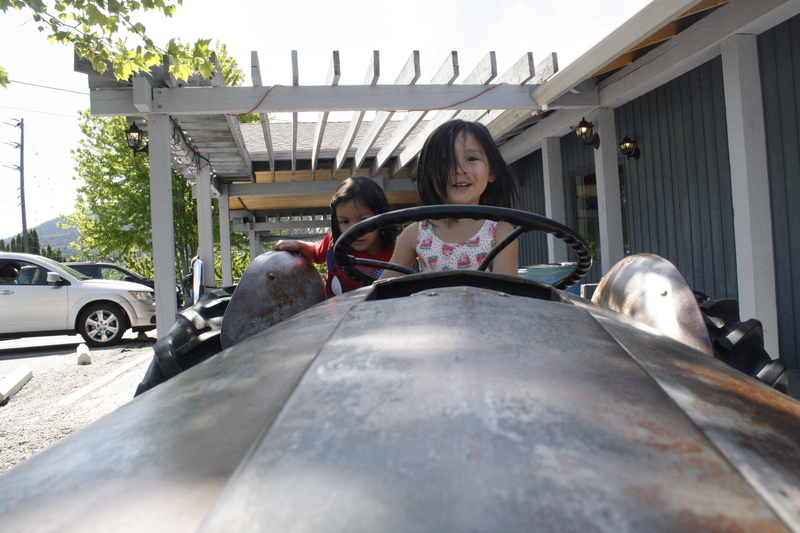 For this reason, the girls were very excited for our mini family getaway because they knew what to expect. 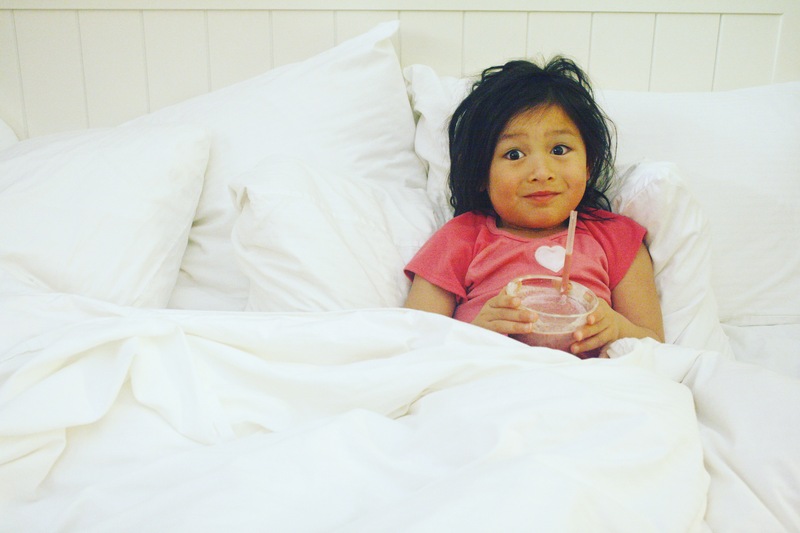 And, let’s face it, kids love hotels. 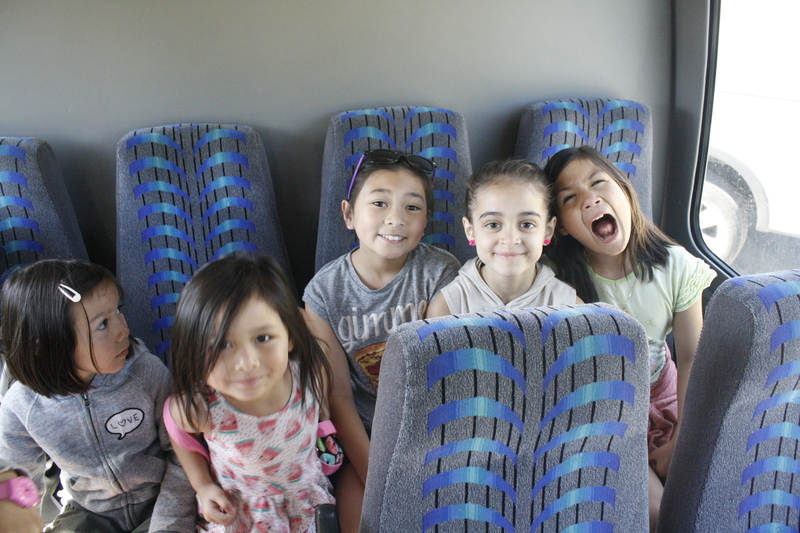 I think they were extra excited to stay at Summerland Resort & Spa! I know I was! We’ve walked by the hotel many times on our visits to Summerland, and have always said it would be so nice to stay there. The drive up to Summerland only takes about 4 hours. 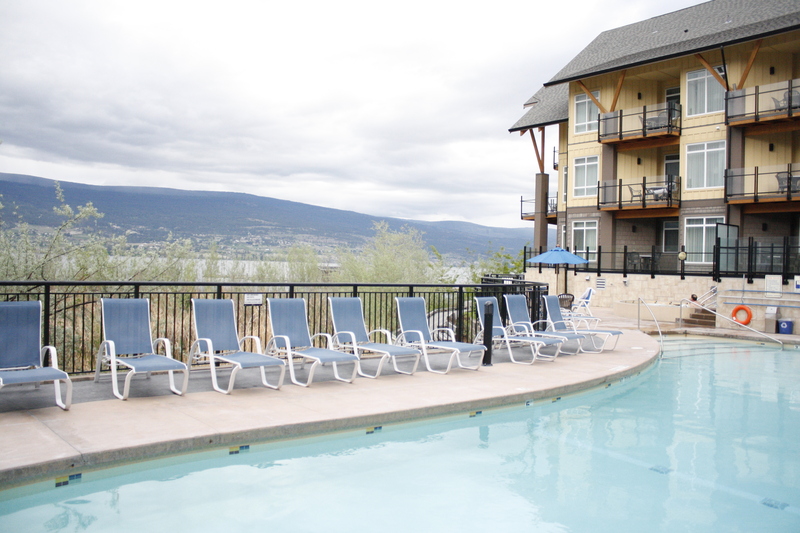 We made one stop for lunch on our way and made it to the Summerland Waterfront Resort & Spa at 2:30pm. After we checked in to our deluxe suite which consisted of 2 bedrooms, 2 bathrooms, a FULL kitchen, living room, and a stunning view of the lake and pool from a HUGE deck, the kids started rummaging through their luggage so they could go straight to the… You guessed it; pool!!! 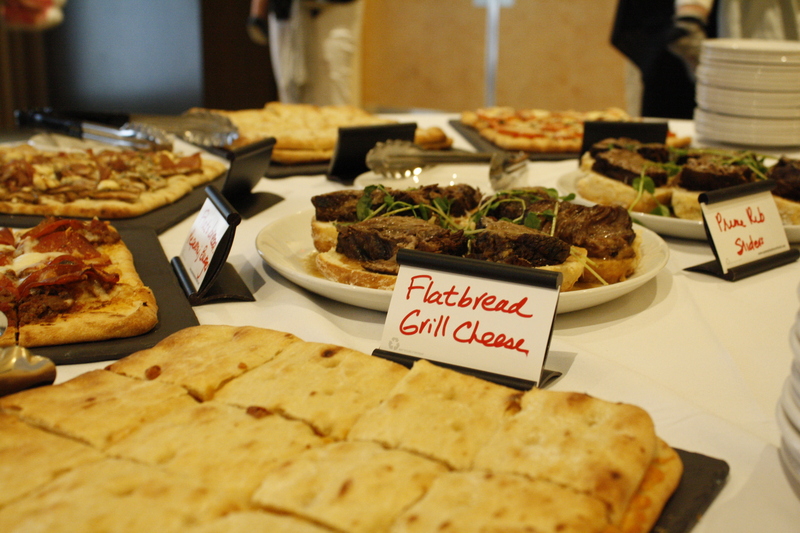 We also had a special treat waiting for us in our suite!Thank you Summerland Waterfront Resort& Spa! The pool is warm, and the perfect depth for the kiddos: 3 feet on the sides and 5 feet in the middle. 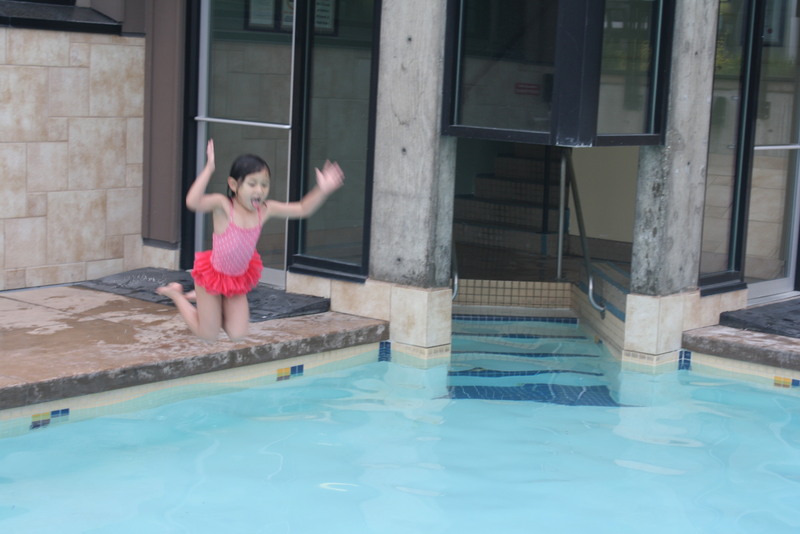 I can’t even keep track of how many times our youngest daughter jumped off the edge of the pool. We met up with some of the other families at the pool. Our youngest Charley, doesn’t have a shy bone in her body. She quickly began to mingle with the others in the pool, splashing and jumping off the edge. Our middle daughter Nyomi, however is extremely shy. It took her a while to warm up. She would circle around the pool staring at the other girls her age, and didn’t end up talking to any of them until later that evening when we met up for dinner. 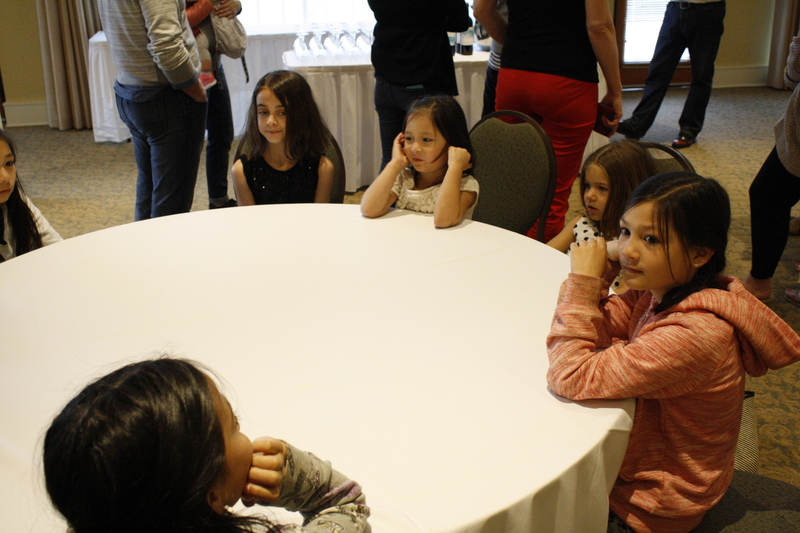 During the dinner, the girls all sat around a table together. After a few quiet minutes, they quickly began giggling, and joking around. A woman from the hotel brought the kids some crafts to play with while the adults mingled, and the kids quickly became comfortable, as if they’ve known one another forever. 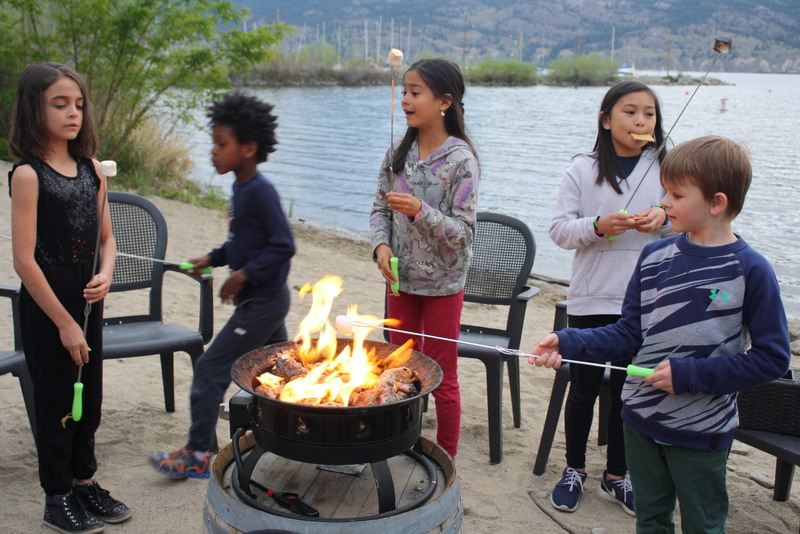 After we enjoyed some tasty wine & food from the Local Lounge Grille, we went outside, watched the sun go down, and made s’mores by the fire. 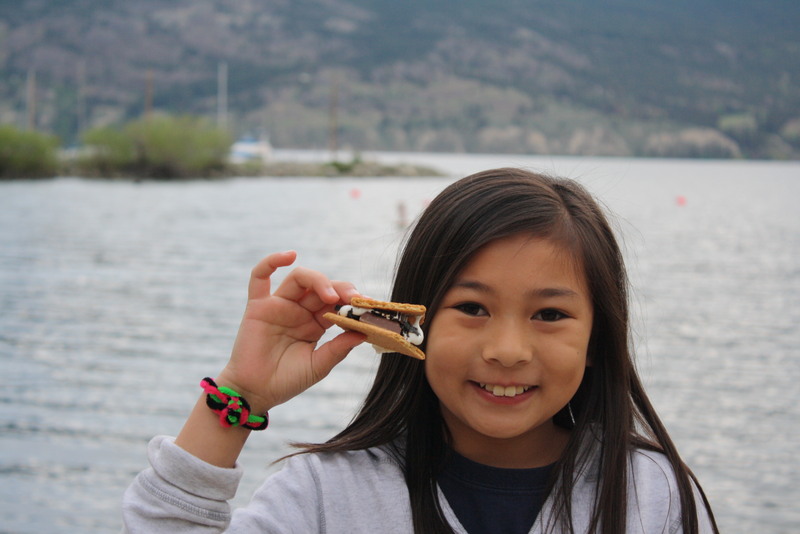 The kids played on the beach, ate s’mores, and ran around like they owned Summerland Waterfront Resort! All the while, the parents were having great conversation, with tons of laughter. 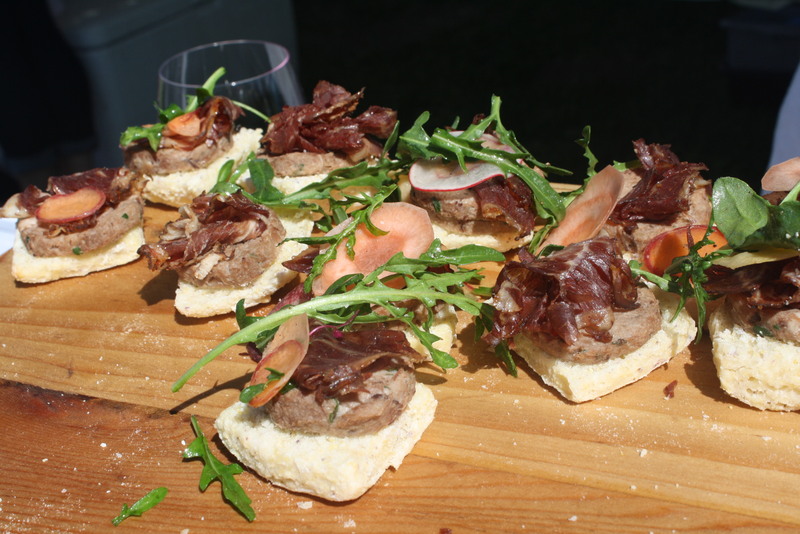 It felt like a “glamping trip”! 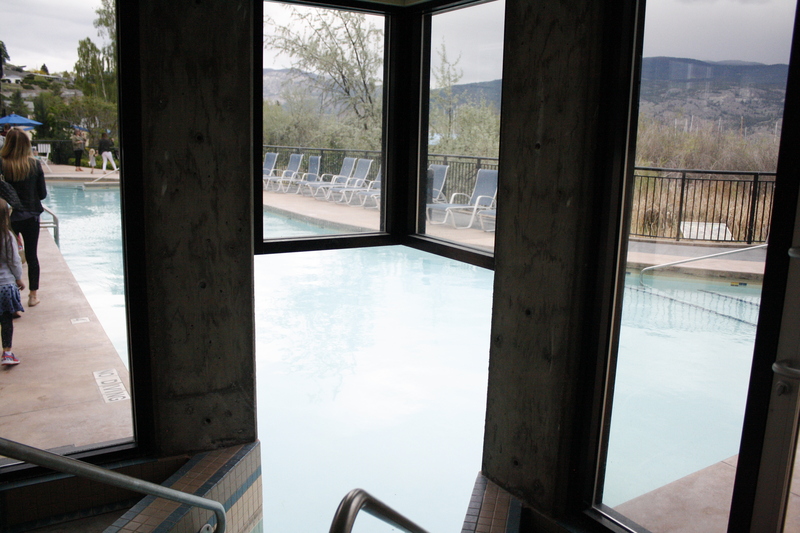 After the fire, we let the kids have one last dip in the pool, while the adults enjoyed some hot tub time. It was the perfect way to end the evening before our exciting tour the next day. The next morning I woke up bright and early to catch a gorgeous shot of the sun rising. 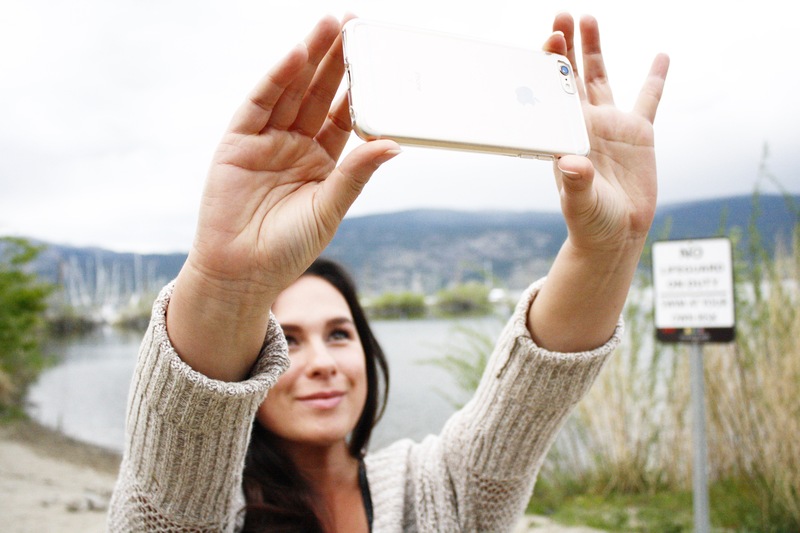 I wanted to get a stunning shot for my Instagram ( blogger life) and I think I nailed it. I did however have a slight headache from the wine the night before, so I went back to sleep for about an hour. 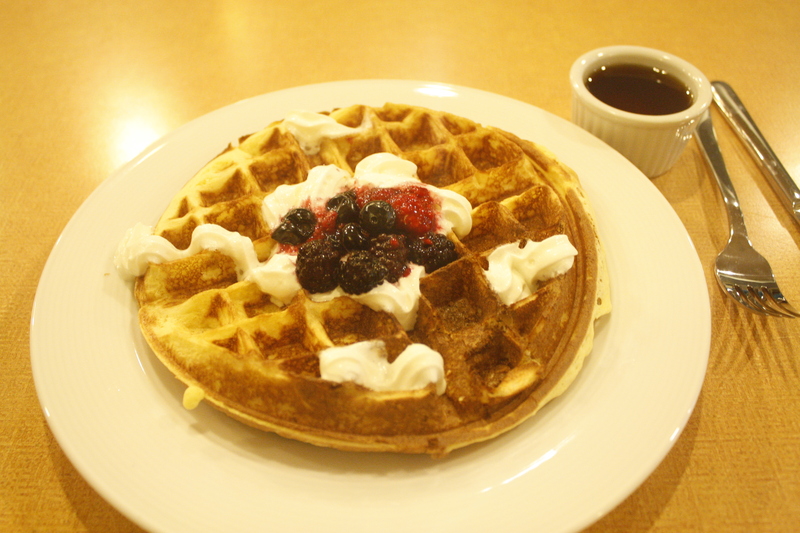 Once the girls woke up my husband took them down to the bistro in the hotel, to grab some breakfast. They came back to the room with a huge Panini, smoothies, and some fresh waffles. After breakfast we met the rest of the gang for our day-long guided tour. 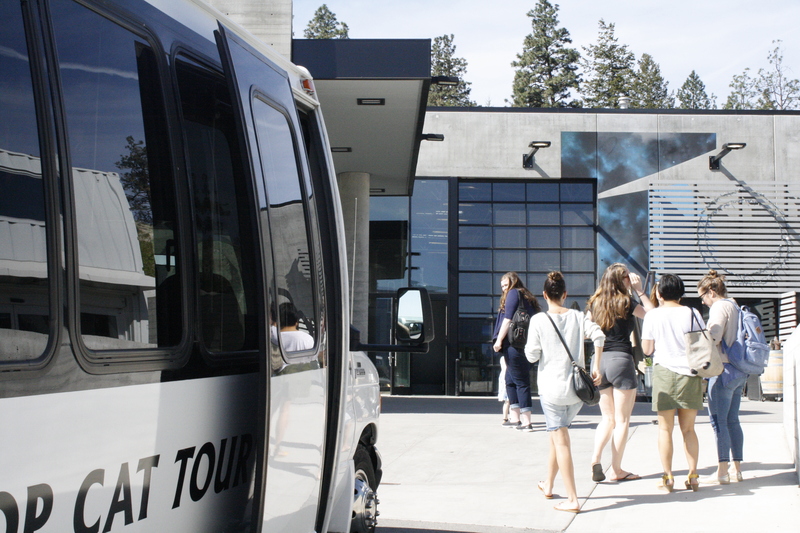 The families packed on the Okanagan experience tours Bus with our friendly driver Andrew, and enthusiastic tour guide Karen; owner of Authentically Okanagan. Karen was also amazing with the kids! 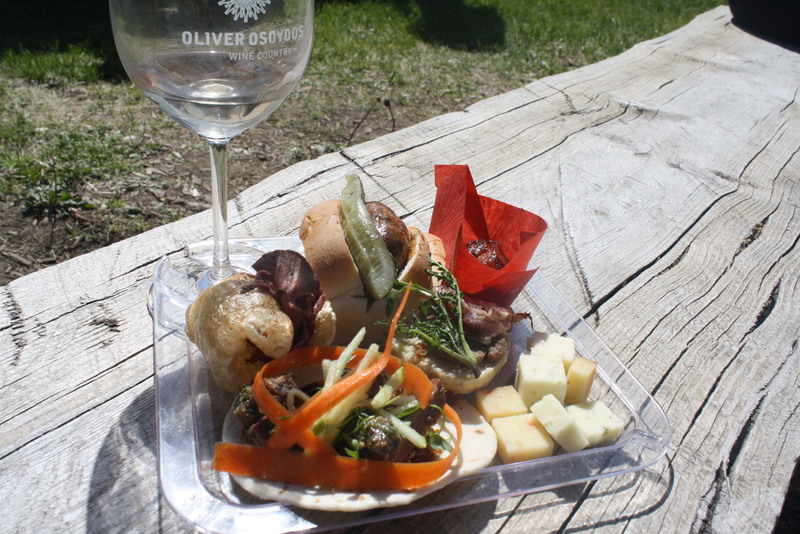 Our first stop of the tour: Okanagan Crush Pad Winery. 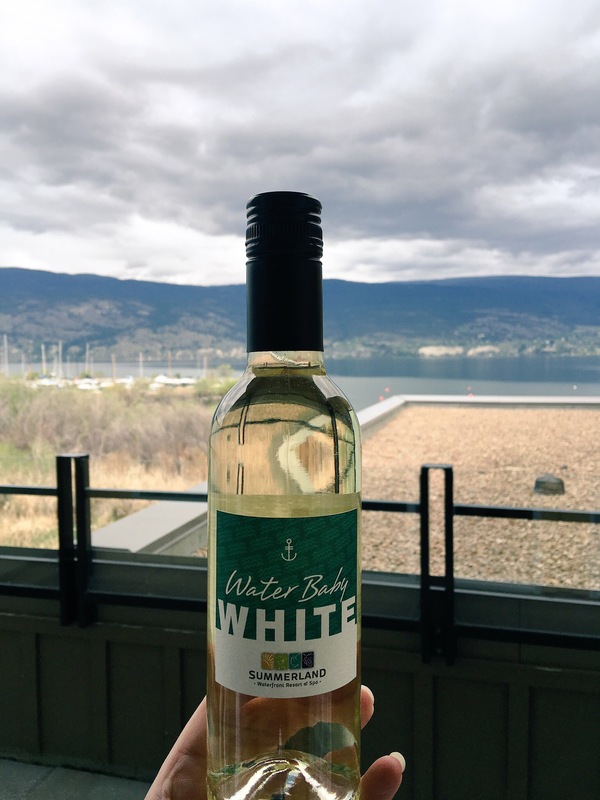 The winery is located on a 10 -acre switch back Organic Vineyard overlooking lake Okanagan. 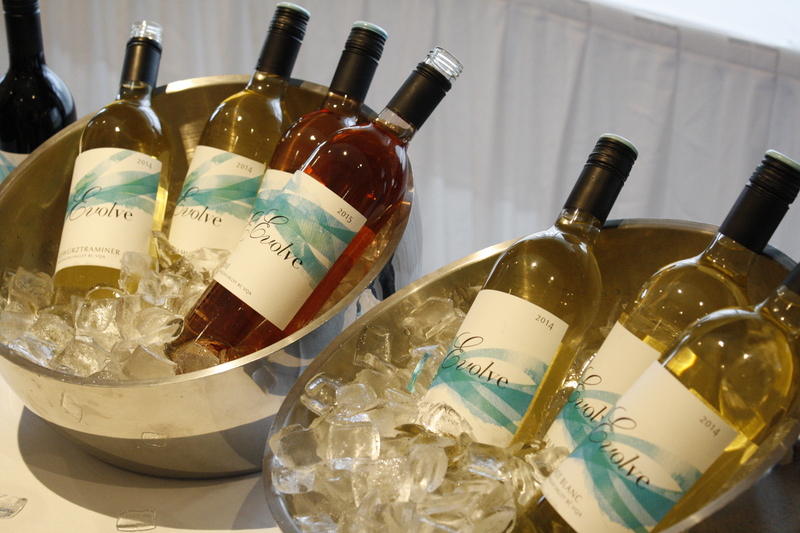 It’s British Columbia’s very first purpose -built wine making facility. We started our tour with wine tasting at 10:30 am while the children went on a tour of their own ( with an adult of course) to meet the chickens. 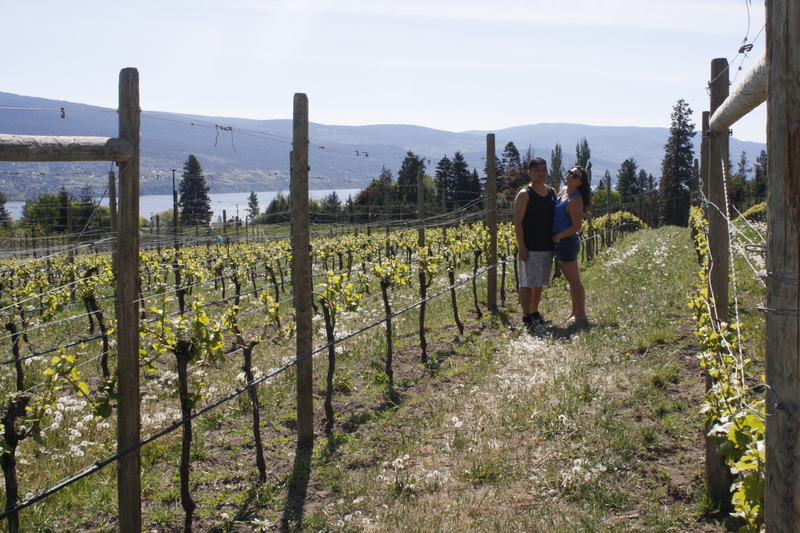 Before we left Okanagan Crush Pad we had to take some photos in the stunning vineyard. Seriously, this place is simply stunning, and I don’t even think my photos do justice. 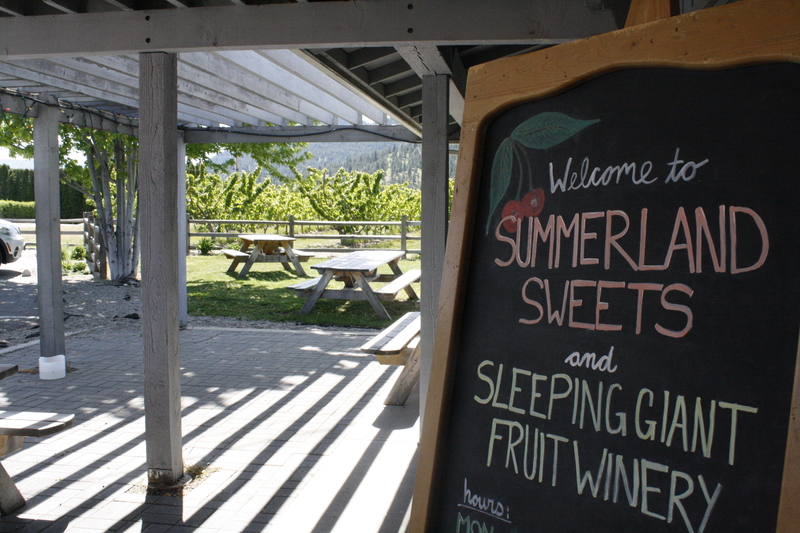 Our next destination was Summerland Sweets and Sleeping Giant Fruit Winery. 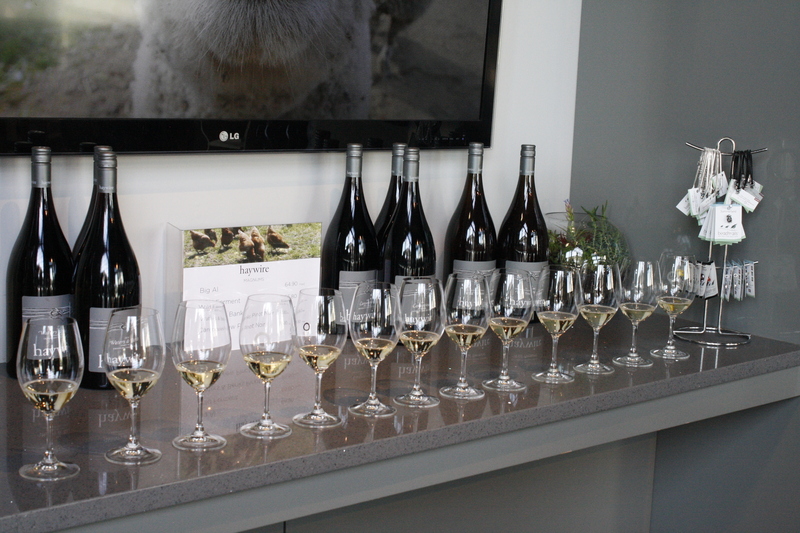 Both places are in the same building, so naturally some of the adults tasted wine, while the children sampled the fruit syrups. I regret not purchasing some syrup for home! 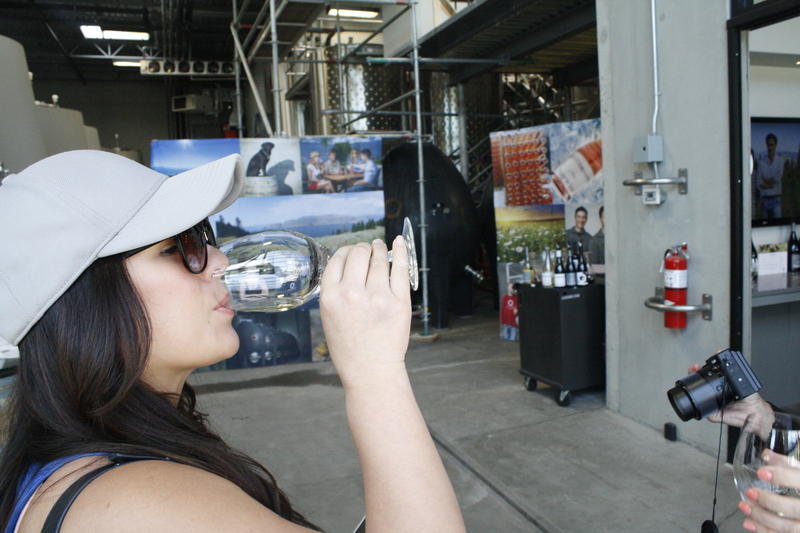 I think I was too preoccupied tasting wine, I forgot! 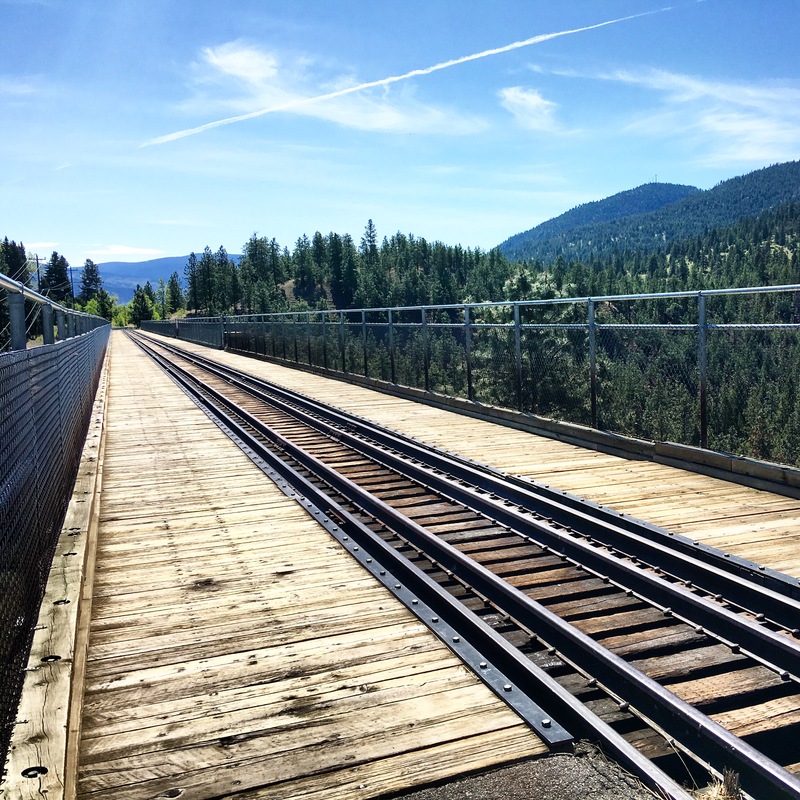 We all loaded back on the bus, and then made a pit-stop to view the Trout Creek Trestle Bridge. This is where we kindly asked driver Andrew if we could get out for a few photos ops. 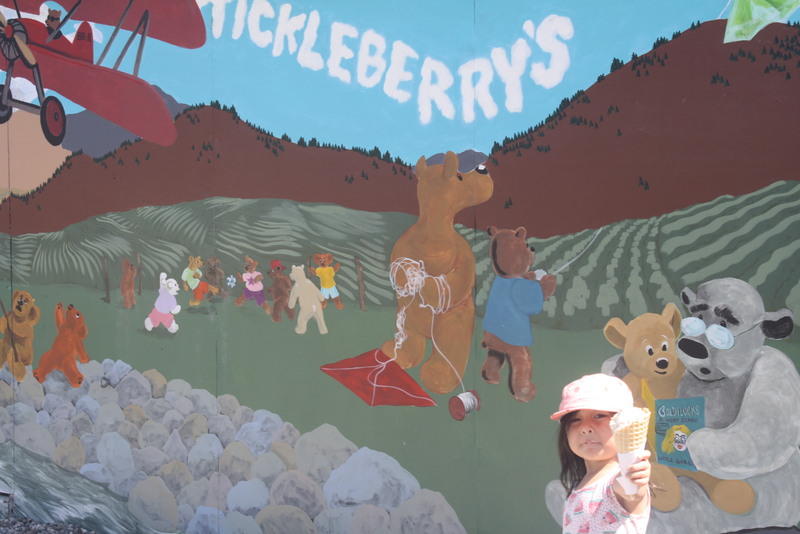 After we captured our photos, we headed towards hot-spot Tickleberry’s. This place was the neatest place I’ve ever seen! What was once someone’s home, now transformed into a sweet shop, full of fudge, kettled popcorn, and tickleberries! We all lined up for some homemade ice cream. 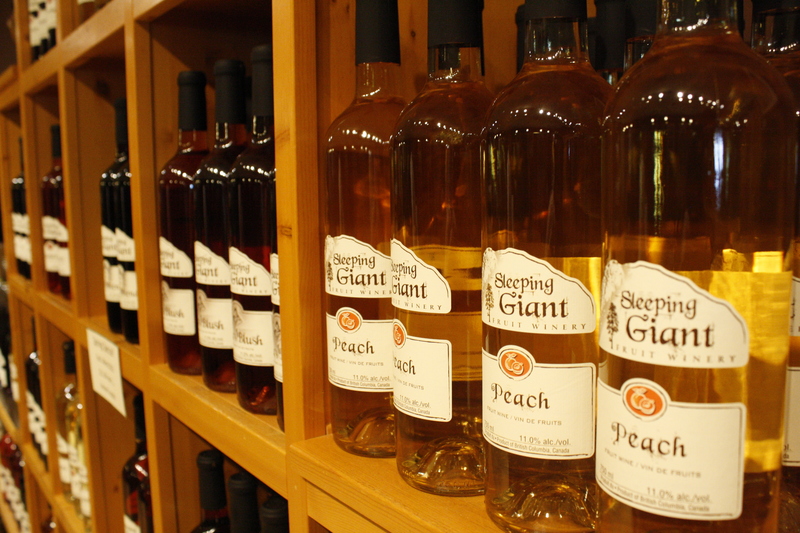 Tickleberry’s uses ingredients from local fields, orchards, vineyards and craft breweries. 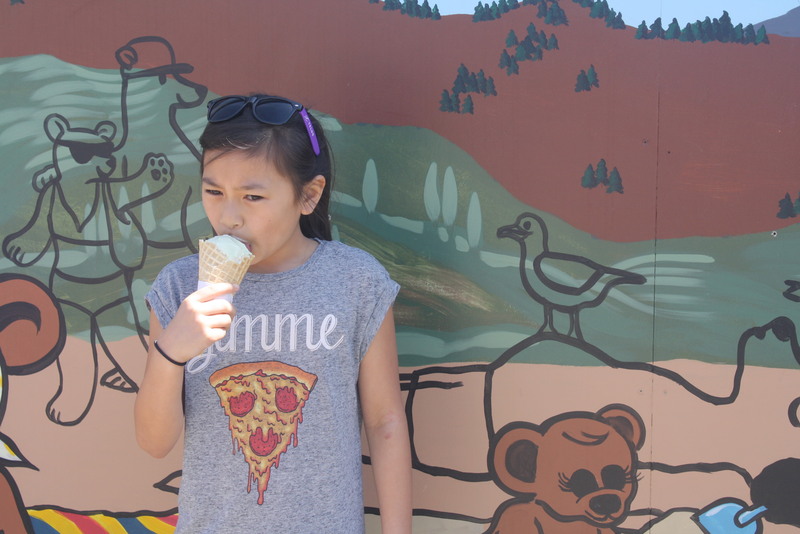 I went for pistachio almond and a scoop of green tea on a waffle cone. It was SO good! 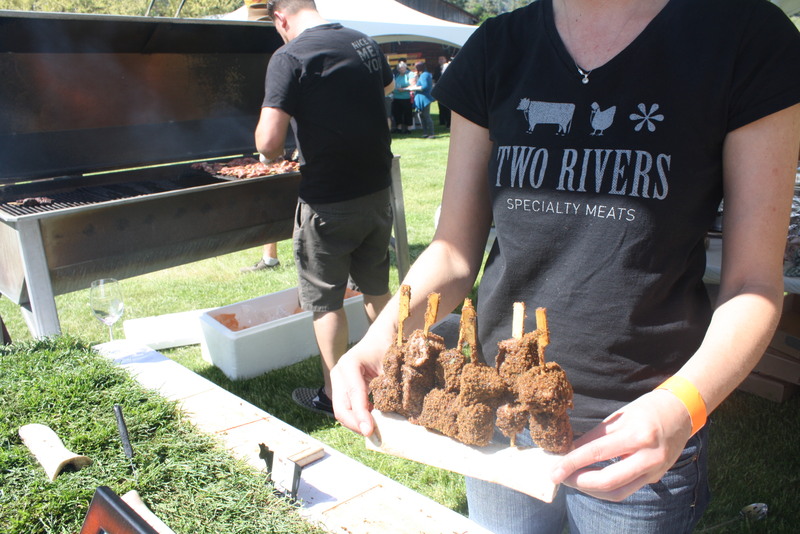 Once everyone finished their cones, we took off to Covert Farms, where we spend the rest of the afternoon enjoying the 5th annual Pig out festival hosted by the Oliver Osoyoos Winery Association. 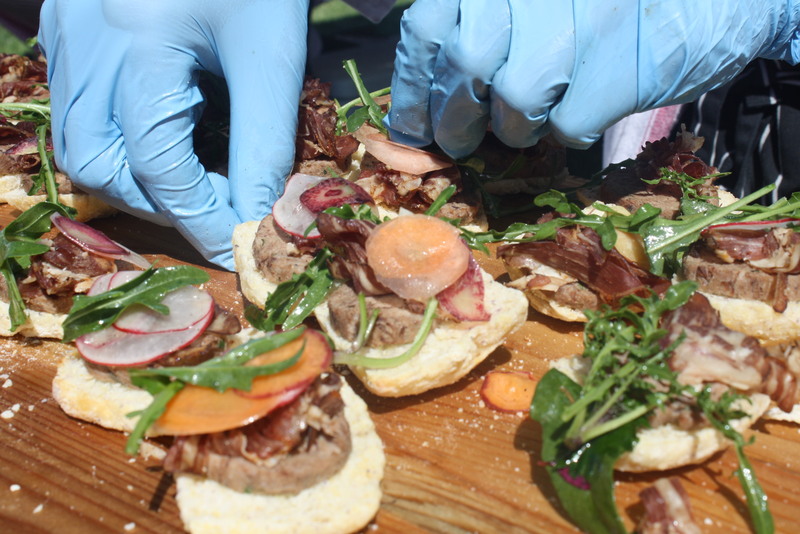 This is where we literally pigged out, tasting food from eight local restaurants. Their was entertainment from musicians, a giant outdoor jumping pillow for the kids, a souvenir wine glass for the adults, and of course more wine tasting! Once we arrived back at the hotel, the kids were dying to get back in the pool! We hung out at the pool, ordered take-out from Local Lounge and called it a night. We were pooped from such a fun-filled day, and I think the adults were popped from too much wine. Lol! The kids made plans to meet at the pool to hang out one last time before we checked out. They swam for a few hours while the adults mingled. I also made my way down to the dock to take in the scenery one last time before we left. 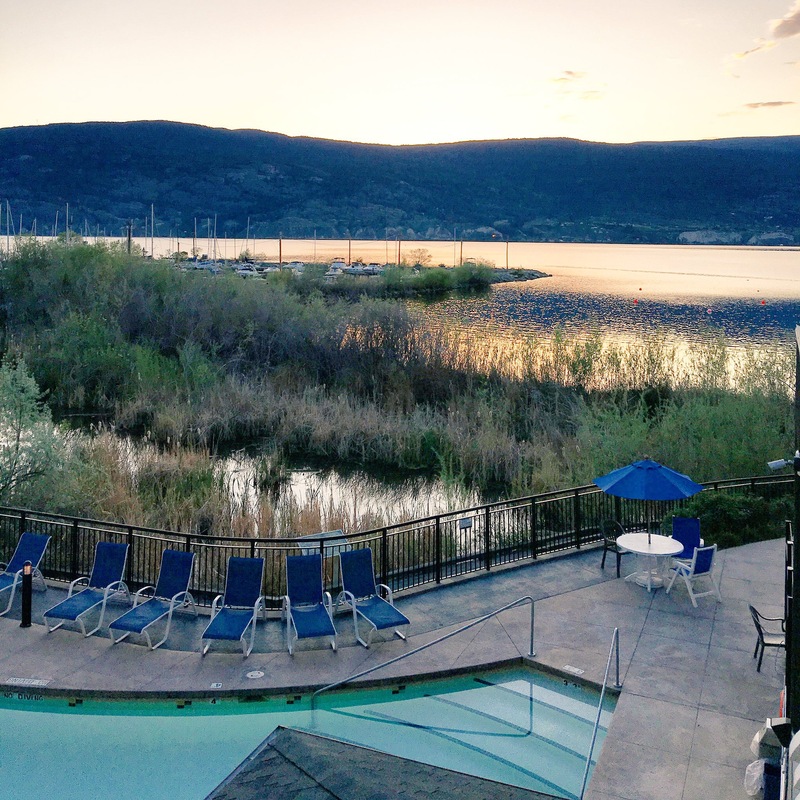 The breeze, sunshine, stunning view and connections that we made this past weekend at Summerland Waterfront Resort & Spa will stay embedded in my memory bank forever. I can’t wait to go back! 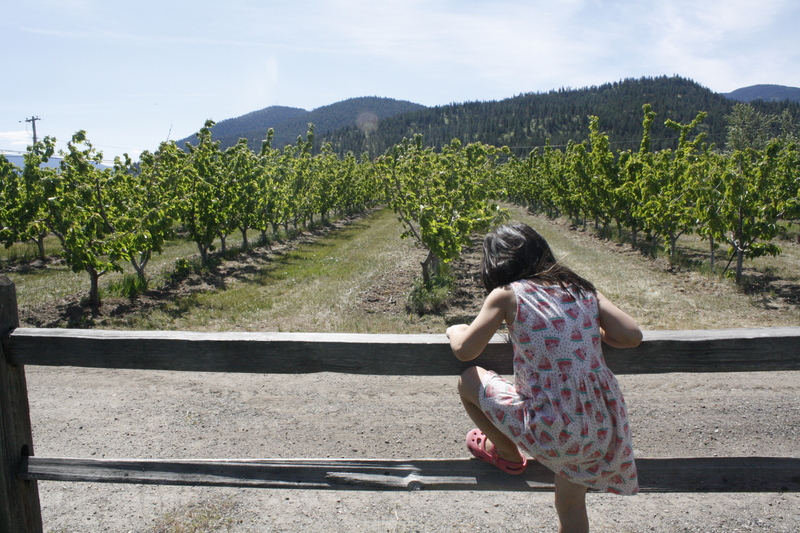 Thanks to VancouverMom.ca and Authentically Okanagan, we had a family experience we’ll never forget! 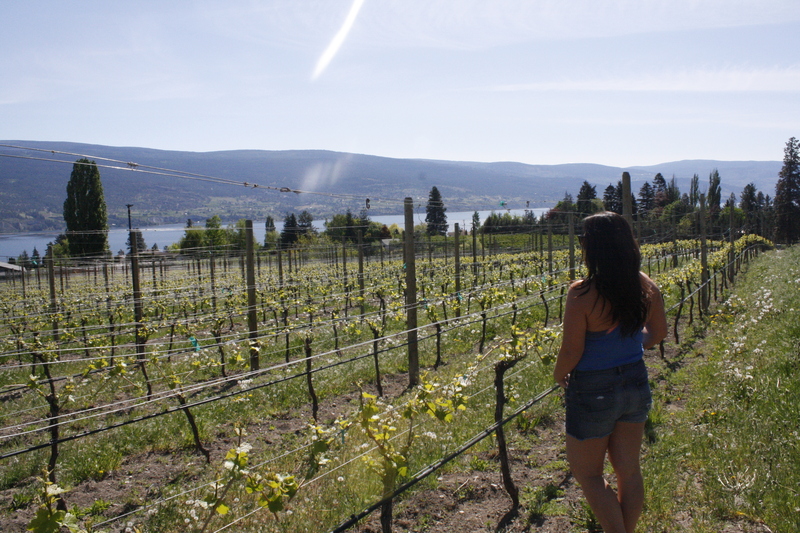 I want to visit Okanagan so bad! You must! It’s so gorgeous! Wow, Jamie! 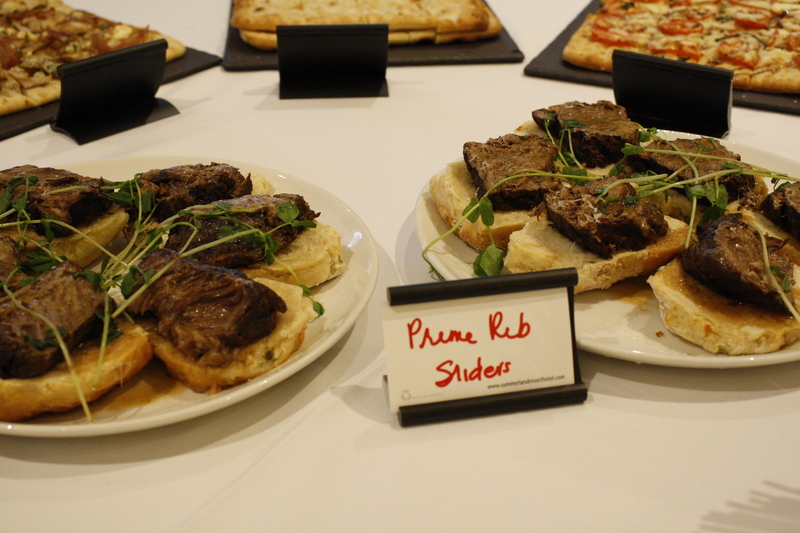 It looks like you had an amazing time in Summerland. 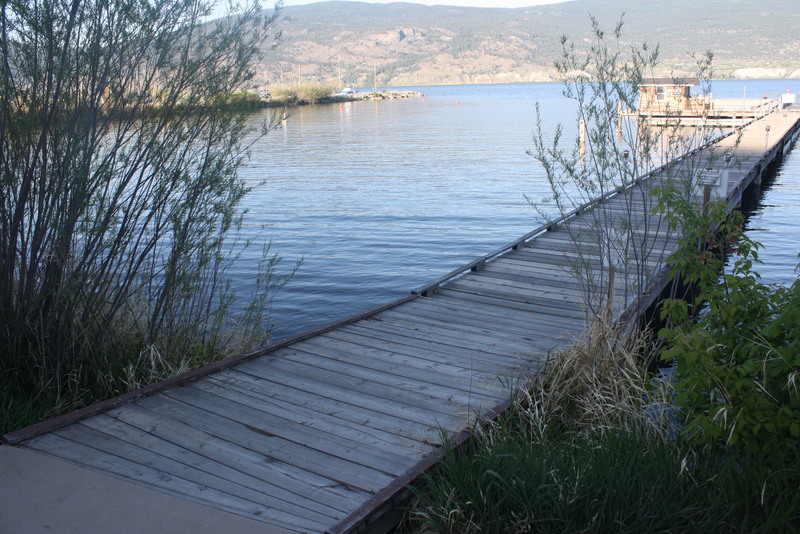 I miss the Okanagan so much and this makes me look forward to spending as much time as I can there this summer! Glad you enjoyed your time there. Great photos :)! Thanks Lori! So glad you’re going back for a visit! It’s so gorgeous!